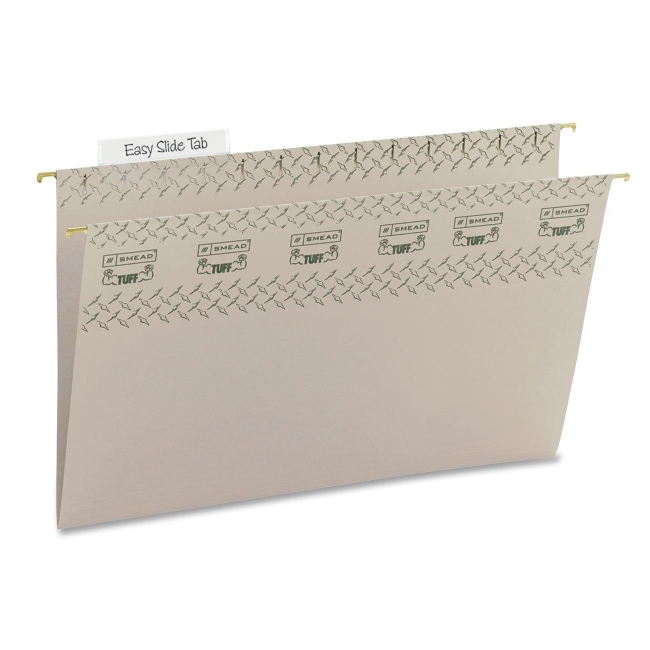 TUFF Hanging Folders feature an Easy Slide Tab and sturdy construction. Specially designed reinforced rods are 40 percent stronger than in standard hanging folders to resist bending and paper tearing. Heavy-duty, oversized 1/3 cut tabs easily slide and secure into the position you choose. Folders are made of 11 point colored stock and include replaceable white tab inserts.